Have you ever dreamt to have anything outside the Earth named after you—officially and eternally? Well, that’s exactly what happened to Faye Jong Sow Fei. Last Friday, Lincoln Laboratory Near-Earth Asteroid Research (LINEAR) team had renamed asteroid 1999 CV19 as 31460 Jongsowfei, making the 17-year-old the first Malaysian to have her name immortalised on an asteroid. LINEAR is a project funded by National Aeronautics and Space Administration (NASA), United States Air Force and Massachusetts Institute of Technology’s Lincoln Laboratory to track and discover asteroids near our planet. 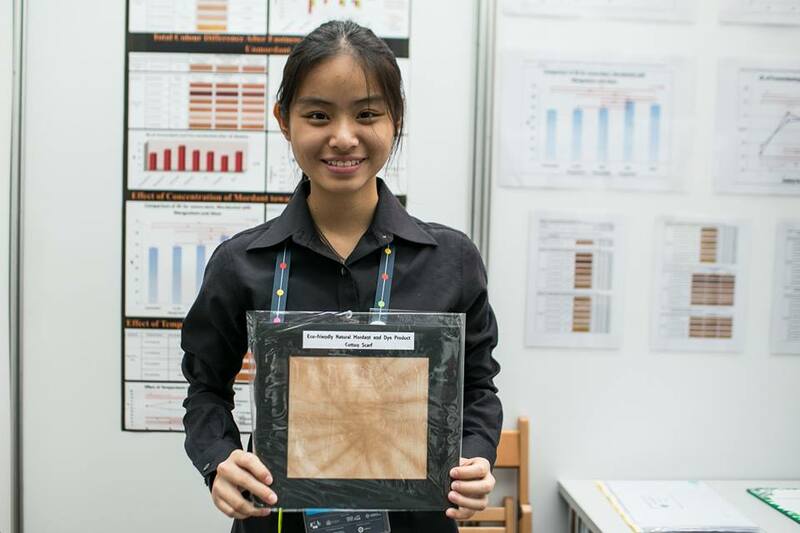 The honour was given to Jong after her environment management project received a huge success at Intel International Science and Engineering Fair last year. Her project, “Biowaste as Eco-Friendly Materials Mordnts in Fabric Dye Process” did not only earn her the Environmental Management Award, but also given Jong an opportunity to join the European Union Contest for Young Scientists in Poland last year. “I am very honoured for the award. I was informed last year that the asteroid will be named after me. I am very delighted having won the competition last year. It was really a once-in-a-lifetime experience for me and I hope that those following my footsteps one day will make full use of the golden chance that is bestowed upon them to weave wonderful and lasting memories that will be with them forever,” Jong was quoted saying by theSun. Jong is from S.M.K Batu Lintang, Kuching, Sarawak. For those who would like to know more about her journey towards her achievement last year, please visit the school’s blog here. Screenshot from ANGKASA’s Facebook page. The Malaysian National Space Agency (ANGKASA) took it to its Facebook to congratulate Jong’s achievement. 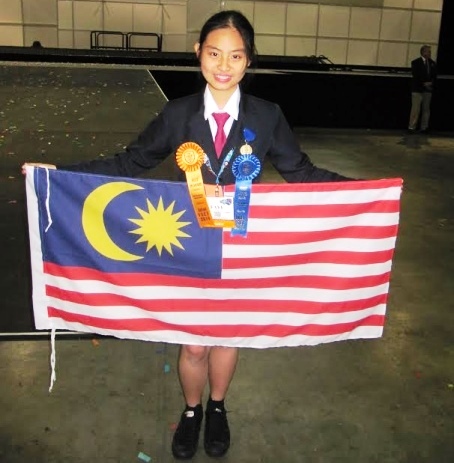 “On behalf of ANGKASA and all Malaysians, we would like to congratulate Faye Jong Sow Fei from SMK Batu Lintang, Kuching for earning the honor of the Lincoln Observatory Near-Earth Object to have her name immortalized on a main-belt asteroid named ‪#‎31460Jongsowfei (1999 CV19),” a message posted along with Jong’s picture on ANGKASA’s Facebook page read. Beside ANGKASA, fellow Malaysians also took the opportunity to congratulate Jong with #31460Jongsowfei on Facebook. “Let’s divert all the negative thing happens in Malaysia now. Here (is) something to be proud of! 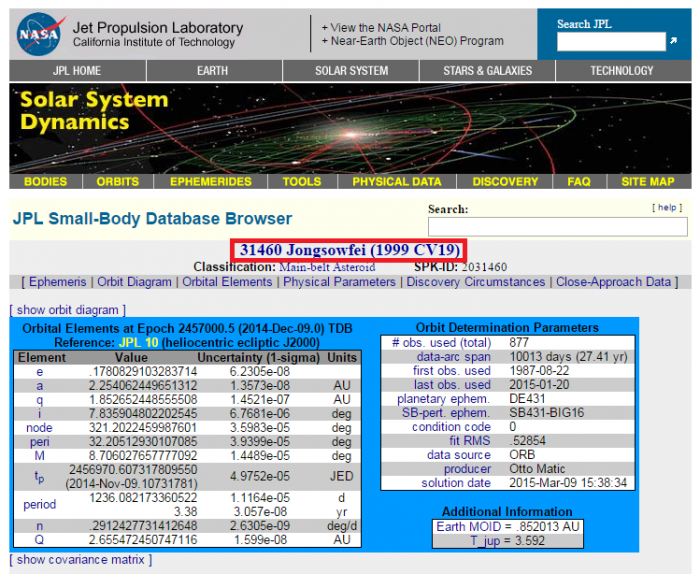 What an achievement for a Malaysian having an asteroid (named) after her called ‪#‎31460Jongsowfei (1999 CV19)’. COOL tahap gaban!” said Hydir Ruslin. Well played, Muhammad Salehin Ramli.